The RS Aeros, RS100s and RS200s competed for their RS Classes Australian National Champs over 6/7th Feb at Royal Brighton Yacht Club on Port Phillip Bay. After seven races and a great weekend of sailing the new Champions were crowned with 34 boats over the 3 RS fleets. After a tough first race in a fading northerly the weekend saw light to moderate sea breezes. With beautiful blue skies and a baking sun the best place to spend the weekend was out on the water! David Rickard, a visiting Aussie from Gurnard Sailing Club on the Isle of Wight UK, won the RS Aero division ahead of Brian Case (Royal Geelong YC) and Ron Ferguson (Albert SC) with some great sailing in the 12 boat fleet combining Aero 5 and Aero 7 on a handicap basis. The first RS Aero 5 rig was Stephen Case, pipping Alison Dale for that Title. John Holroyd from Cowes Yacht Club (on Phillip Island) claimed the RS100 trophy with Royal Brighton YC members Stuart Lyon and David Williamson second and third. RBYC’s Peter Coleman won the RS100 Masters competition. The RS200s was an all Black Rock Yacht Club affair with Gary and Alexandra McLennan recording a perfect score and a clear win ahead of Peter Milne & Lara Blass, with Jessica Watson and Cam Dale in third. 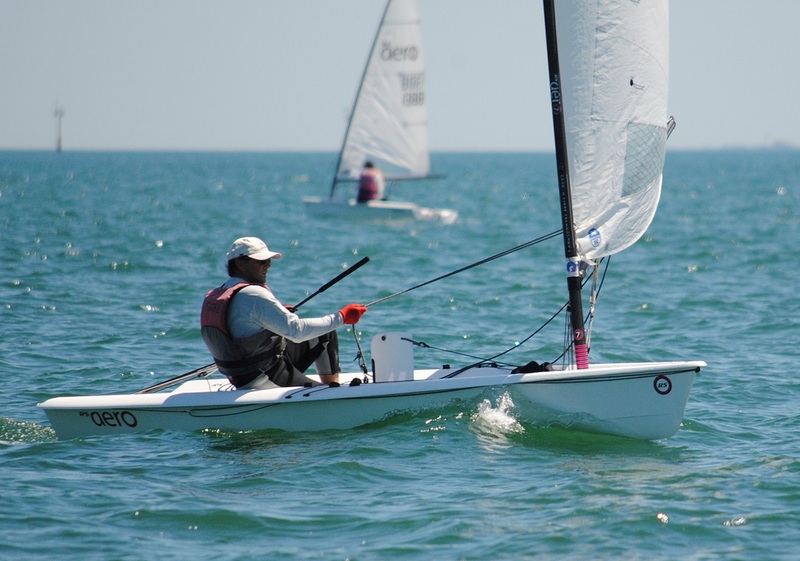 Royal Brighton Yacht Club hosted the RS100, RS200 and RS Aero Australian Championships in conjunction with the O’Pen Bic Victorian Championships to create a skiff focused weekend at the club which is seeing rapid growth in its off the beach sailing activity. Next up in Australia is the Royal Geelong Yacht Club 'RS Invitational' on Sunday 21st February.